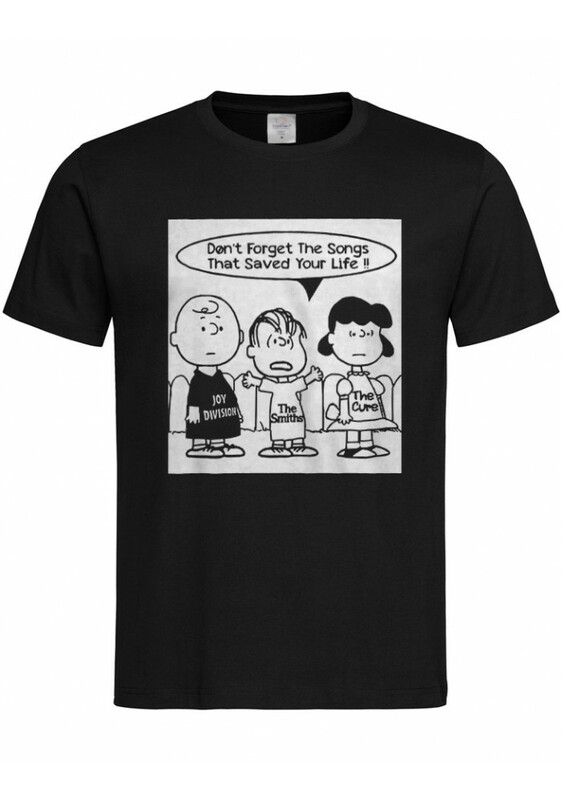 Funny T-shirt of Joy Division, The Smiths and The Cure fans Cartoons claiming their love for the bands and to not "forget the songs that saved your life". Tribute t-shirt of some of best UK indie bands ever with the famous line of Morrissey. Beautiful T-shirt of Joy Division, The Smiths and The Cure fans Cartoons claiming their love for the bands and to not "forget the songs that saved your life". Tribute t-shirt of some of best UK indie ..